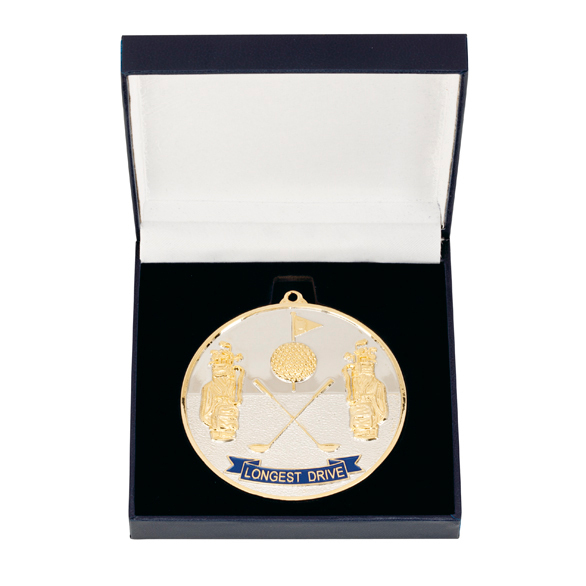 70mm heavy medal in a leatherette box, moulded golf medal for longest drive, engraved plate included in the price which goes within the medal box lid. Classic Golf medals boxed. Silver with gold highlights and the name longest drive in a blue scroll in gold lettering.